On January 26, 2017 Anatoly Artamonov, Kaluga Region Governor, held a business meeting with Sergey Yavorsky, Director General, Volvo Group Russia, who was appointed to that position in December 2016. As it was noted during the talks, further development of Volvo brand in Russia would be the key objective of the newly appointed Volvo Director General. 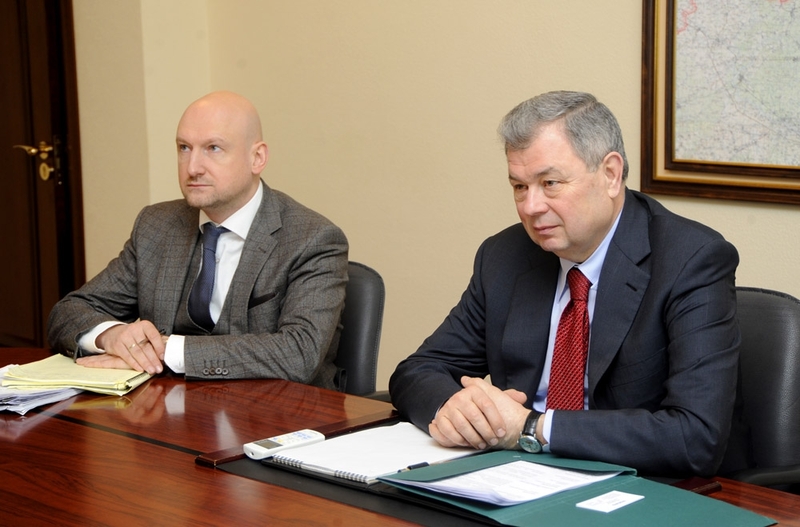 Sergey Yavorsky presented the existing and future Volvo investment projects to Anatoly Artamonov. The projects relates to Volvo truck plant in Kaluga. One of the projects provides for production of heavy trucks with automatic transmission. Anatoly Artamonov spoke positively of Volvo Group plans to expand its production potential in Kaluga. He also wished success to the corporate management to implement such projects.